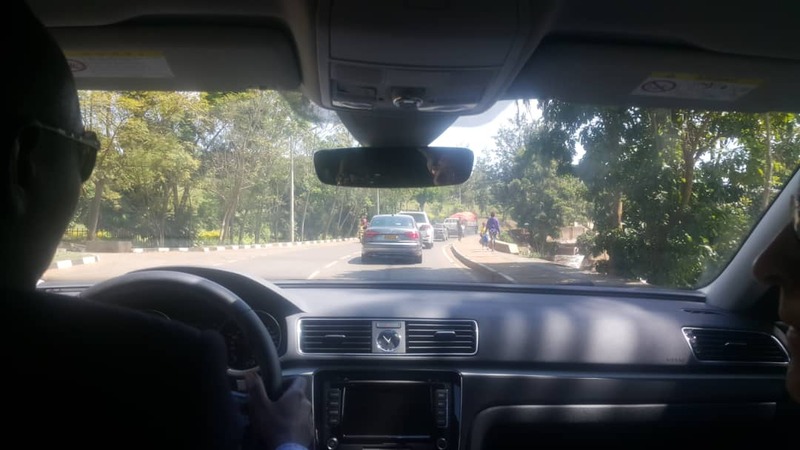 Rwanda has become the second country to test the new Volkswagen vehicle mobility monitoring technology which will ensure security and access to the vehicles as the company plans to launch public car sharing component. The in-house VW telematics unit developed technology was created by a German tech guru, Dr. Mukayil Kilic, and its prototype has been tested in Germany in the last six months. The technology is currently installed in two VW Passat cars which were among the 50 car fleet put on display today at the official launch of Volkswagen Mobility Solutions Rwanda project. “This is the first time the technology is being tested in Africa,” Gerhard Naegele, the VW Head of IT South Africa told KT Press in an exclusive interview at the launch event, Wednesday. Installation of this technology will be done in 2019, when VW launches its Public Car sharing mobility solutions. “This technology will be available in Rwanda probably in the next six months, when they are ready to use it,” said Christoph Baunack, the VW Product Manager. Once officially approved the technology will also be installed in all VW models including the Polo, Teramont, Passat, and Amarok cars which will be rentable under the first car sharing system in Africa that is already up and running in Rwanda. Other automobile companies have almost similar technology but the VW telematics unit tech specially adapted to VW vehicles comes with special security measures which may not be seen elsewhere. According to developers, anyone using the vehicle that has this monitoring system currently has to get approval from one central computer system (server) located in Nuremberg, Germany. When you apply to use a car with this system, you get all its details but in order to unlock the car, you need to authenticate yourself and then it takes a flash of a second to get a greenlight response from VW server. Naegele said that VW plans to install a similar server in South Africa, with intentions of managing all the VW Africa operations.